How do I create contacts and contact groups for use by SQL-RD schedules? 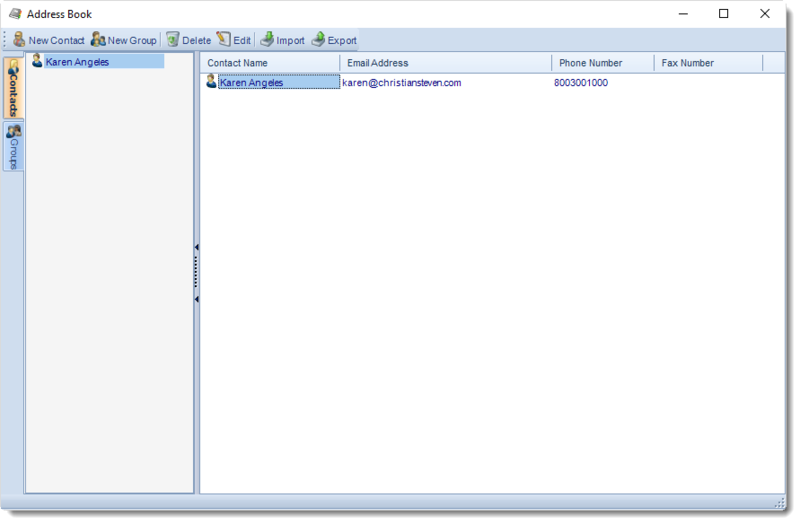 The Address Book in SQL-RD allows you to create and store contacts for later use by SQL-RD schedules. 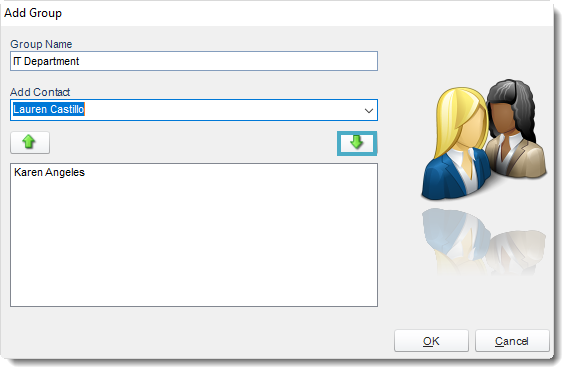 You can also create contact groups and easily add or remove contacts as needed. 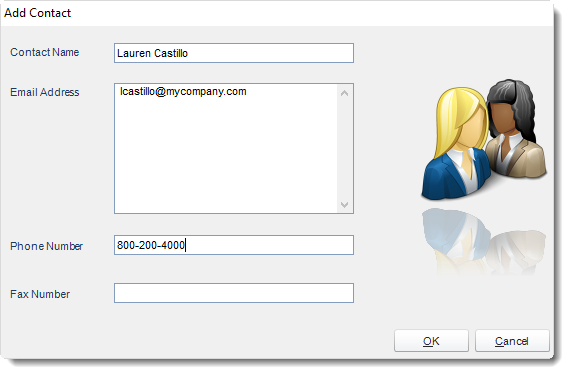 The SQL-RD Address book allows you to set up contacts and group contacts for use in schedules. Enter the contacts details and click OK to save. Add Contact: Select the name from the drop down list and click down arrow button to add to the group. You can switch between your groups and contacts by using the tab on the left. Delete: Select a contact or group and click this button to delete. Edit: Select a contact or group and click this button to edit or simply double-click the contact or group. Import: Click this button to import a previously exported address book. Export: Click this button to export your address book.